Sport sociology has a responsibility to engage critically with the accepted wisdom of those who govern and promote sport. This challenging collection of international research is a clear call for enacting the transformation of sport. The contributing authors argue that it is not enough to merely advocate for change. Rather, they insist that scholars need to take an active political stance when conducting research with the explicit purpose of attempting to transform the practices, structures, and the ways in which knowledge is produced about sport. By exposing and challenging the power relations which perpetuate discrimination and inequality within sport, it becomes possible to catalyse wider societal changes. Drawing on a diversity of topics including sport for development and peace, transnational feminism, disability sport, refugees and football activism, FIFA, the Olympics, sports journalism and digital sports media, this book makes a case for sport sociology as an agent of positive change in the hierarchies and institutional structures of contemporary sport. 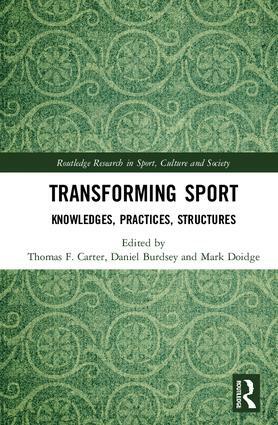 Transforming Sport: Knowledges, Practices, Structures provides valuable insights for all students and scholars interested in the sociology of sport and its transformative potential. 3. Agency and Intention Without Individualism: Some Methodological Pre-requisites?